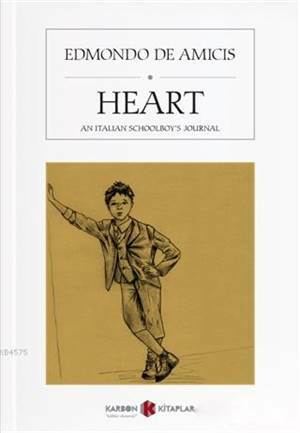 "Heart" is a children's book in separate episodes, written by Edmondo de Amicis in Turin and published for the first time in 1886 by Treves, Milan. It was a great success and de Amicis became the most widely read writer in Italy. The novel is structured as a diary of 9-year-old Enrico Bottini, a final year student in an elementary school. Every month there are tales told by the schoolmaster, challenging stories, with children as protagonists.